Jones swam in the AAU Junior Olympic Games. 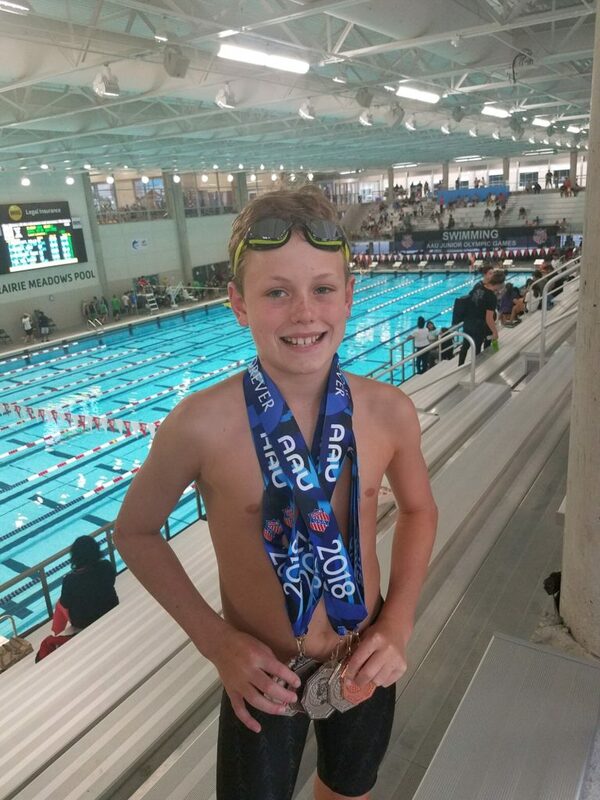 Representing Plant City, Florida at the AAU Junior Olympic Games in Des Moines, Iowa, Noah Jones spent four days swimming his heart out. Jones set 13 personal bests in Des Moines and placed in nearly all of his events. Jones’s club team, Blue Wave Swimming, sent 30 to Des Moines and placed fourth overall. What was it like competing in such a big event? I just really wanted to do it. My coach kind of emphasized it at a championship meet and I wanted to go to it. How did you keep from getting too nervous? I’ve been to a lot of meets, so it wasn’t really too hard. I just thought of it as a regular meet. What was your favorite event to swim in at the Junior Olympics? Have you ever traveled that far for a meet? A coach or a professional athlete. Is there a professional swimmer you look up to and try to be like in the pool? Katie Ledecky or Michael Phelps. What’s your favorite swimming event to watch at the Olympics? I just like seeing all of them. What’s your favorite thing about swimming with your club, Blue Wave? Just having fun with my friends.